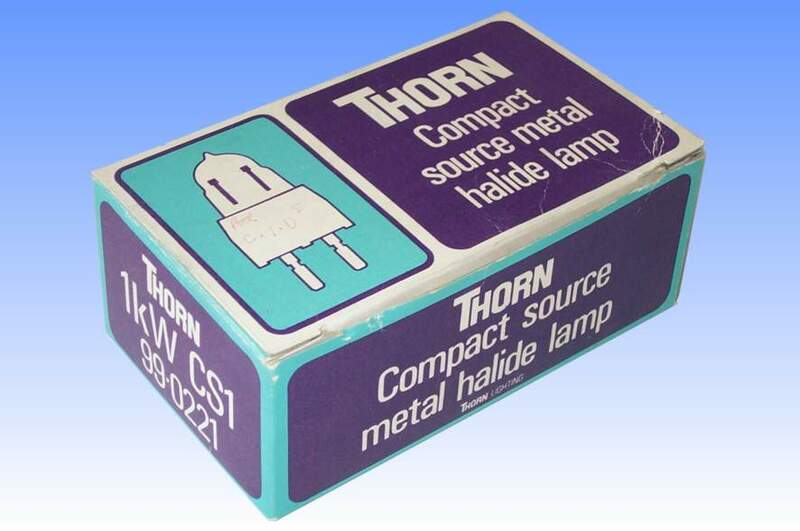 Thorn, or rather its predecessor AEI-Mazda, was responsible for developing the first single ended metal halide arc tubes with only one pinch-seal. The first lamp in the family was the 400W Compact Source Iodide (CSI), developed primarily as a technical light source for special projection. 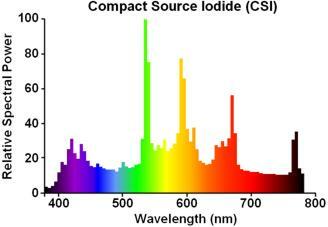 In recognition of its potential for general lighting, the more powerful 1000W version on this page soon followed. It proved especially popular in high performance exterior floodlighting applications, and it was developed in conjunction with Thorn's SunSpot floodlights, which acted as the outer jacket for the lamp. They served to stabilise its wall temperature at higher levels than would be attained in free air, such that maximum performance from the lamp would be achieved. A significant advantage of this single ended lamp was its compact dimensions and the ease with which it could be mounted through a small hole in the back of the reflector, achieving a precise, narrow beam of phenomenal intensity from an unusually compact luminaire. 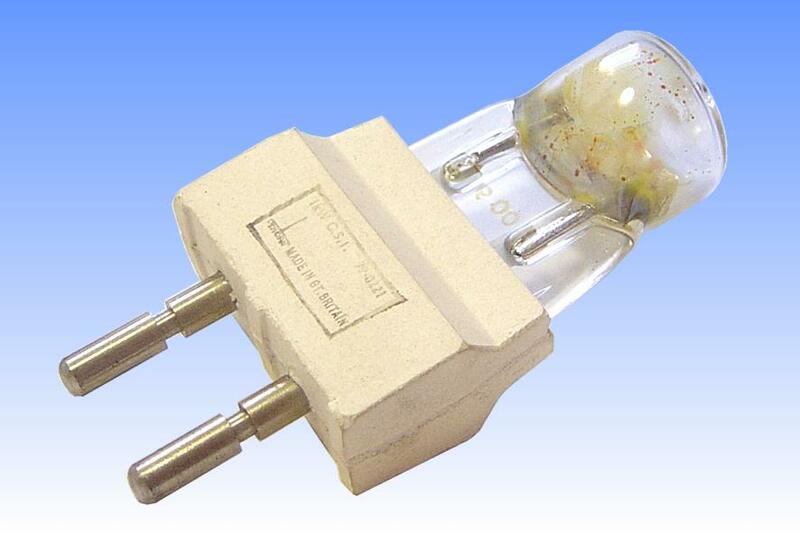 A later development was the sealed beam PAR64 version of this lamp which achieved longer lifetime and further improved beam control. Overall Length: 115 mm max.